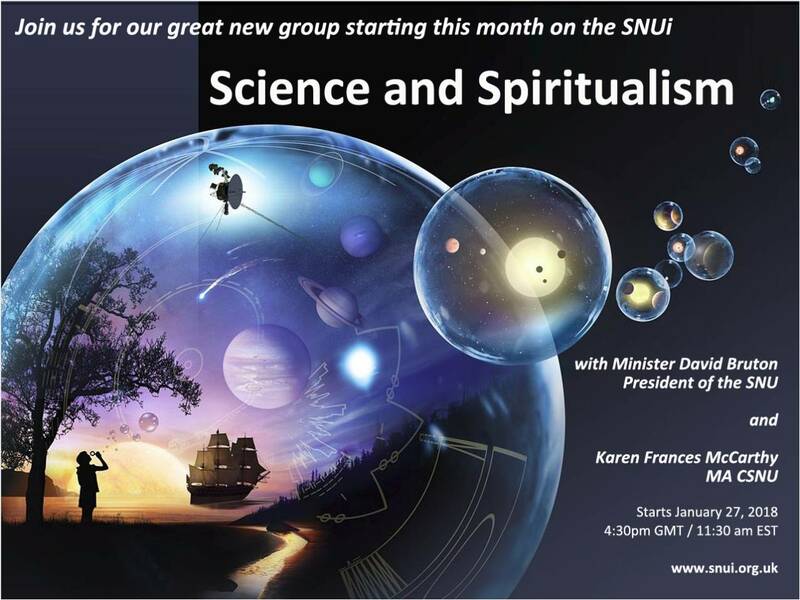 View an excerpt from the first Science and Spiritualism given by Minister David Bruton President of the SNU. This event was held on Feb 24th 2018. Please double click on the box at the bottom of this panel. Ignore the comment about No video of compatability. This cclip is approx 11.5 minutes long. Enjoy. There is a lot od information in this short pasage. Spiritualism has a long history of scientific enquiry, and in this century, there have been some fascinating developments in physics and consciousness theory that relate to the work we dowith the Spirit world. This exciting new SNUi group aims to bring this work to light by offering a forum for learning, discussion and the exchange of ideas. Guest speakers and interested members can give talks on the historical and current research so that we may be informed and inspired ambassadors for Spiritualism as a science. collaborations between the SNU and the scientific community. The aim of this group is to further our understanding of the nature of reality and the workings of the Spirit world through a scientific lens. In this way, we can acquire a greater understanding of the language of science and contribute to compelling discussions on the science of Spiritualism, mediumship and the afterlife. Arthur Findlay College Museum curator. Dr. Sam Parnia & Dr. Raymond Moody.